Dietsmann, a privately-owned Dutch multi-local company and a global front runner in Advanced Predictive Maintenance for the energy industry, is launching two dedicated start-up companies: Dietsmann Smart Robotics Lab and Dietsmann Smart Data Lab. The company sees Robotics and Big Data as crucial instruments in optimizing production, safety and reducing emissions in the environment. Serving some of the leading energy and mining companies in the world, Dietsmann invests in the digitalisation of maintenance to lead the way towards smart Operation & Maintenance. With the world’s energy demand growing, it emphasizes the need to reduce the safety risks and environmental impact of energy production, while driving down its costs over the decades to come. As it works in harsh environments in remote areas of the world, Dietsmann considers smart application of robotics and detailed analysis of operational data as essential steps towards achieving this goal. The main objectives of the two start-ups are to maximize Dietsmann’s clients’ production and asset uptime whilst minimizing maintenance costs. Both labs will be based in Boussens, south-west France. The Dietsmann Smart Robotics Lab (DSRL) will concentrate on the development, validation and exploitation of remotely operated and autonomous robots and associated developments such as Augmented Reality, Virtual Reality and Mobile Solutions for the Operation, Inspection and Maintenance of (heavy) industrial activities at continuous production facilities. 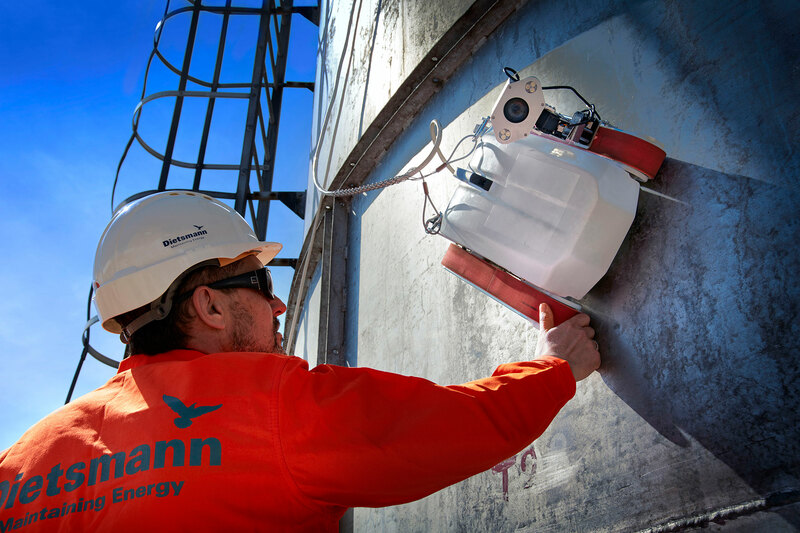 Using robotic solutions on the installations that Dietsmann maintains will reinforce the company’s continuous strive for excellent performance, both in HSEQ (Health, Safety, Environment, Quality) and bottom-line costs. Dietsmann plans to invest in underlying technologies and to co-participate in research & development projects to emphasize its efforts in that respect. It will do this in close conjunction with its clients, long-term industrial partners and selected institutes of technologies. The development, field-testing and integration of associated technologies in Dietsmann’s day-to-day operations will be a key in achieving these goals. The Dietsmann Smart Data Lab (DSDL) will focus on implementing Big Data analytics, on the enormous volume of data generated every second by machinery and sensors, which is growing at an exponential rate (i.e. generators, compressors, motors, pumps, heating and ventilation systems), on the installations that Dietsmann maintains. Using innovative Artificial Intelligence, Pattern Recognition, Machine Learning techniques, and Cloud Computing, the DSDL will assist its affiliates worldwide in the execution of predictive maintenance and in preventing machine failures, based on real-time evaluation and monitoring of data generated via smart sensor technology.